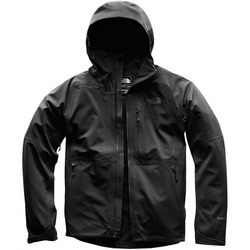 Browse similar Mens Jackets by Arcteryx, clearance Arcteryx Mens Jackets, or click here for all Technical Shells. For those gram counting climbers and trekkers who are minimalists that still demand a high level of performance, grab the Arc’teryx Alpha SL Jacket, and get going. This is weather protection in an ultra lightweight package at its finest. Never worry about finding space for this jacket as it is extremely packable and just whip it out whenever the weather turns savage for superior defense. Waterproof fabric all jacked up on Gore-Tex ensures that rain stays on the outside, but the Alpha SL remains highly breathable. As an incredibly versatile piece of outerwear, you can bet that you’ll be covered anywhere from a laid-back day hike, to a demanding multi-day excursion. Even though it won’t feel like much when you put it on, there are still some solid features built in, like pit zips and a pair of hand pockets that crank up the functionality. Flip up the helmet compatible hood and solidify your fortress of weather defense. With a generous cut for layering and an anatomically correct fit, the Arc’teryx Alpha SL Jacket is primed to protect you from any beastly storm that nature can conjure. 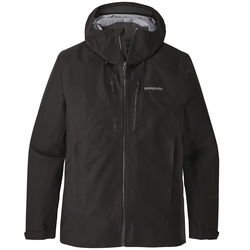 "Lightweight, breathable, waterproof and windproof, this jacket's basically bullet proof! The design and fit is genius, I've never felt any type of restriction while skiing and hiking. " "Some jackets do not let you have a full range of motion when wearing them. 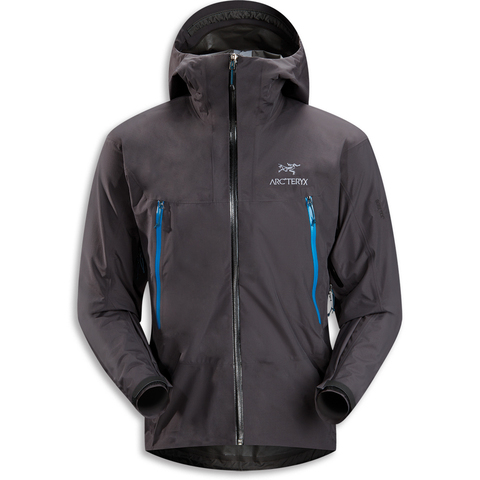 This Arcteryx jacket let you have full extension and still does not restrict you movements. Nice when you are wearing it out in the field and moving around. " 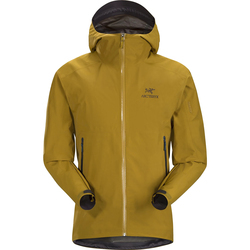 "Like most Arcteryx products the Alpha SL jacket is a high-caliber premium piece of apparel. While out on my treks searching for cool rocks to conquer, mountains to get on top of, or secret spots with mind blowing vistas my ultra-light and highly compressible Alpha Jacket is always in reach in my pack for when the weather turns for the worst. Waterproof, windproof the Alpha will shield you from the elements while allowing you to engage in your inner adventurer." "I was looking for something super light weight yet durable and super waterproof. I have had the other brands rain jackets and it wasn't cutting it so I bought this Arcterya Alpha SL in Riptide to wear on those wet days. I am super happy with this jacket. Arcteryx has the best design. " "This is my all around go-to winter jacket. Excellent to wear while biking in wintry conditions or for those fall or winter hikes when the weather turns for the worse. Waterproof gore-tex material has you covered. It has classy minimalist style to it and has a good fit. Lightweight material that makes it easy to stow away when the clouds burn off. " 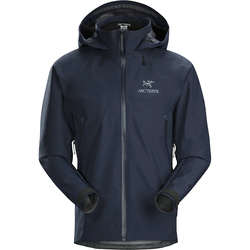 "The Arcteryx Alpha SL Jacket is a true winner! I spent months researching jackets. My main goal was to find something that was light, durable, waterproof and economically priced. After trying on multiple jackets and teetering back-and-forth I decided to cut out the economical price limitation out of my equation and I went with the Arcteryx Alpha. Yes, I liked it that much. 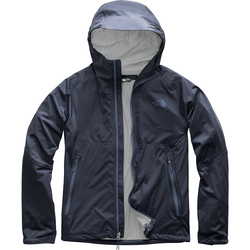 Yes I loved how lightweight it was—made from Goretex Paclit and, yes, it is really light. Yes it waterproof, when sealed up it feels like you are completely sealed and shielded from all the elements yet it good breathability and you don’t sweat out of your jacket. Yes it is durable, I have worn this on hundreds of snowboard trips, hikes, backpacking across Europe, packing in tightly in an overstuffed bag over and over again and this thing still performs. The structural integrity of the Paclite material is amazing, cutting edge for sure. Economically, No…and yes. It is not the cheapest jacket and not the most expensive. It is rather expensive, but if I were to break down the math with all the uses and then add in quality and overall satisfaction it doesn’t seem that much. Or more simply put—less than a dollar a day for just 10 months. " "I’m minimalist, you’re a minimalist , this jacket is for us. If you are like me and like quality, back-to-basics, no frills jackets that do what they are suppose to do the Arc'teryx Alpha SL Jacket is what you want. The Gore-tex Paclite material is really light and compactable—this jacket can be packed down to the size of a softball or smaller when stowed away in a pack. When you zip up you are guaranteed to be dry as a bone when wearing this thing. Even the zipper pockets are water-proof and you can be rest assured that your iphone or ipod will stay dry inside the pockets. The Gor-tex Paclite is impressively breathable, unlike other water-proof jackets I have had in the past. It is reassuring to know that I can stay dry and not sweat out in the inside. I wear my jacket on casual dog walks through the rain and I wear it when I am shredding up at the mountain. It has a nice helmet friendly hood. Great for hiking in strong snow and rain storms. All and all it’s a pretty versatile jacket. I am 5’10” and 180 pounds and the Large fits me pretty good. For the minimalist you can’t beat the quality of this jacket and it is worth every penny! " "I wanted something extremely lightweight and pack able because I do not like carrying any unnecessary weight, but it had to be exceptional in wet weather providing me with protection it also had to be breathable. I definitely made the right choice in the Arcteryx Alpha SL jacket. This coat is simply amazing and all that I could ask for. " "This is an excellent jacket!!! It surpassed my expectations, but that's no surprise for this companies attention to detail and quality. It keeps you very dry and works great as a hard shell (I'm using it with a fleece for skiing). Please NOTE the big hood, I was taken by surprise how large it was, it's made to be helmet compatible. Although there are multiple draw cords to fix this. Although, this would not defer me from purchasing it. I enjoy the pocket placement. I enjoy the fit, it's a very good, athletic fit. I would defiantly recommend this to everyone!!! "